The original Mirror's Edge was an interesting experiment that was more interesting and promising than successful in its execution. 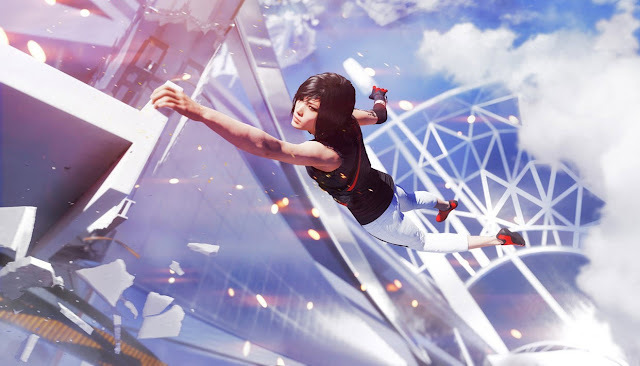 To that end Mirror's Edge Catalyst takes the foundation of the original and improves upon it in just about every way, but is still ultimately a title that is stronger if taken as an experience than a game. 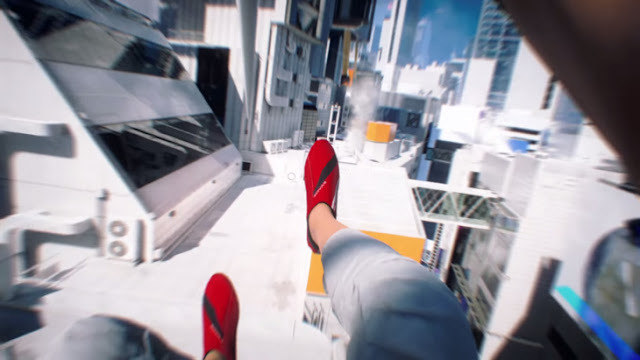 When it first released, the initial Mirror's Edge was one of those titles that wowed me with its trailers and breathtaking parkour action sequences. I was really excited for the game's release, but then I finally got to play the game and the rough edges soon began to appear. It was a short game padded with awkward battle sequences that did little besides frustrate me. The story and the characters who comprised it were also awkward and quickly forgotten. 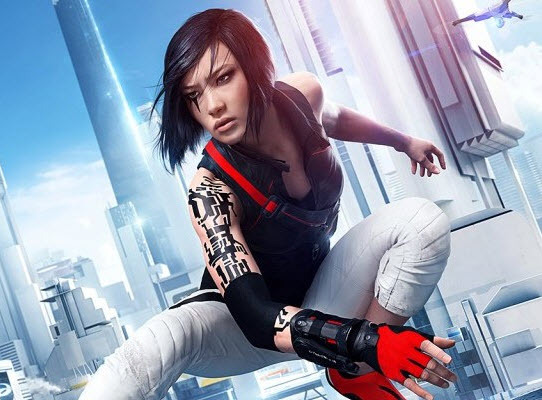 It was received reasonably well with critics, but suffered from rather low sales, and I admit that I never thought we would see another Mirror's Edge game. Having finally had a chance to sit down and spend a good deal of time with Mirror's Edge Catalyst, I am happy to say that the experience has been improved upon in numerous ways. More of an extension on what the first game offered than a true sequel, we follow our protagonist Faith Connors after she has been released from juvie and has reunited with her quirky, often eccentric friends. This group are a bunch of delinquents in a dystopian world where surveillance is complete and people are prescribed roles in society without having any input of their own volition. Connors and her friends rebel against this, and their only recourse is to take to the rooftop of the glistening clean, sterile city; the rooftops being the only places where they can be truly free. The group reminds me of typical youth in a lot of ways; they make mistakes and bond through shared life events, but before long they are caught up in a bigger, but more serious arc, and find themselves thrust into the unlikely role of being heroes, trying to stop bad people do worse things. Let's be honest here, the narrative does not do anything startlingly new or interesting. The voice actors give a game effort for some pretty stereotypical characters that add some charm and direction to the game, but the highpoint here is the new open world and Faith's repertoire in getting around it. The narrative is helped by replacing the budget-feeling cutscenes from the original game with in-engine rendered interactions. There are plenty of moments where characters are tasked with what side of the moral fence they want to fall on. Most of them, even Connors, want to tread in the safety of grey moral ambiguity, but circumstances seldom allow for that, and Faith often finds herself finding it impossible to say no to requests made of her. I never found myself groaning at any of the particular narrative notes, but I have my doubts that in a month I'll be sitting back and thinking of the story itself as something memorable either. That being said, the world itself is another matter. 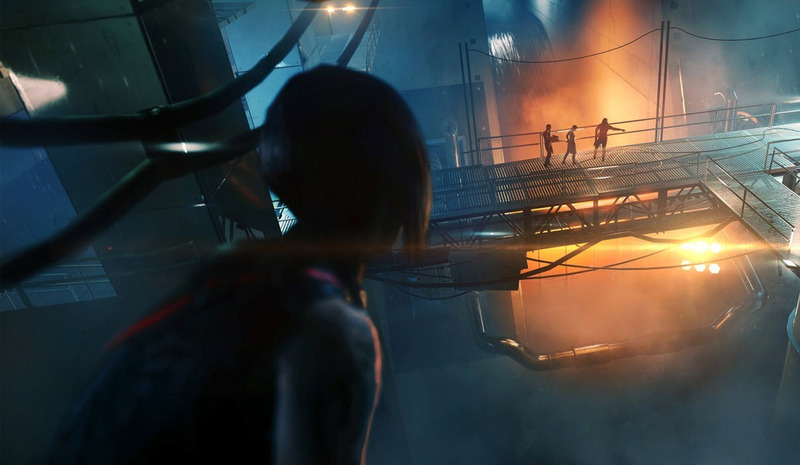 Unlike a lot of shooters that now use parkour as a means to add something arbitrarily "cool" to the mix (yes, Call of Duty, you), here Mirror's Edge Catalyst is entirely focused on traversal. Running up walls, rolling while in-stride and vaulting over medium height objects is both easy to learn but challenging to master. Getting around the world is not in and of itself terribly difficult, but the challenge to Catalyst is in how it wants you to learn to be precise, to string sets of actions together that require you to control Connors with a swift smoothness that makes her less a part of the world and instead gracefully gliding through and above it. The way the controls respond so naturally with fluid animations and immersive touches like the gentle rumble of your controller lend a sense of immersion to Connor's adventures that most games can never hope to harness. I enjoyed taking all of the side quests that I could, with some of them more interesting than some of the primary quest missions. The world feels sparse and empty at times - but then the whole thematic premise of the game is that the rooftops are there exclusively for people who shouldn't be there. This is not a game like GTA, where you should bumping into people on the sidewalk every two or three steps. It makes for a strange but also refreshing environment once you get used to it. While Faith's movement through the world is the absolute pinnacle of what Catalyst has to offer, the same cannot be said for the combat. 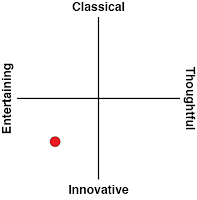 Thankfully it is improved upon from the original game, for which I am quite grateful. I absolutely detested the fighting in the original Mirror's Edge. While it was clearly meant to help make the title more of a game and provide challenge, that challenge usually came in the form of frustration. In Catalyst this is still true to a point. I like that the strong and light attacks at Faith's disposal are contextual to her movements. In theory, it is sound as momentum and the environments are key to being able to successfully take out enemies. You are not meant to guide Faith straight into a firefight, but instead to bound off of objects and pull off a potentially flashy attack as she bounces off of a wall to deliver a tooth rattling roundhouse kick or diving to bring death from above. The biggest issue is that the game's greatest strength in travel is arguably its biggest issue in combat. The large, open world environments make for a compelling reason to spend time with Mirror's Edge Catalyst as you lead Faith from one objective - primary or side, both are fun - to another. The environments are built in such a way that they provide ample space and the ability to travel by moving from one minor set piece or location to the other fluidly. However, by nature combat makes you slow down and take on your enemies. The environments are often too sparse, too spread out to really take advantage of Faith's combat moveset. What should make for compelling combat is hindered by the need to defeat a specific number of enemies in a space that simply is not designed to work in the context of a fist fight. Another mixed bag in the game design is the upgrade system. In a positive way, it serves as a great progression hook that kept me coming back for more. I enjoyed opportunities to upgrade Faith's equipment as well as her travel and fighting skills. While I enjoyed the carrot dangling on the stick that allowed me to make Faith even more fluid and fun to use, some of the moveset decisions are slightly peculiar. Certain moves, such as the roll, seem as though they should be available from the outset, so the decision to hide them behind the progress barrier comes across as a rather arbitrary way to encourage progression early in the game. Another issue facing Catalyst is that there are plenty of times the Xbox One hardware just does not seem to be up to the task. For a game that creates an often impressive visual spectacle with a sense of speed and movement, there is a notable amount of pop-in and even framerate issues that are impossible to ignore when things get really hairy. I can appreciate the lack of load times however, but its handling of textures rob Catalyst of its greatest strength - immersion. Mirror's Edge Catalyst is a risk I did not think Electronic Arts would take again after the lukewarm reception of the first title. 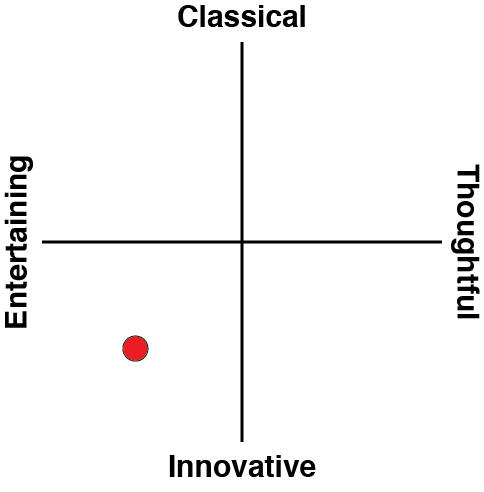 I am glad it did however, because despite its flaws, Catalyst is a worthy concept of the game, and the improvement from the last one to this shows that it can mature into a quality game franchise, beyond its concept. The sense of scale and the way the world has been designed for travel makes for a fantastic experience. There are some areas where you can tell EA's developer, DICE, was on a more constrained budget than it was used to, but hopefully this game performs better at market and the team get a chance to continue building on the foundations they have developed here.